President Barack Obama granted another round of commutations and pardons Monday, commuting the sentences of 153 people and pardoning 78 others. Among them is Kendrick Tyshawn Akins of Coppell, Texas, who was sentenced to life for conspiracy to manufacture, distribute or possess cocaine, cocaine base or marijuana. Obama commuted his sentence to 240 months of imprisonment, conditioned upon enrollment in residential drug treatment. According to the White House, the president has commuted the sentences of more than 1,100 men and women incarcerated under what it calls “outdated and unduly harsh sentencing laws,” including nearly 400 people who were serving life sentences. That’s more than the past 11 presidents combined. Most of those whose sentences were commuted were imprisoned for nonviolent drug crimes. 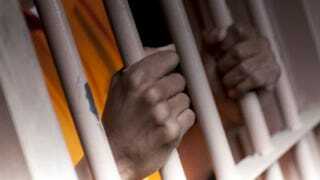 About half of the more than 190,000 inmates in federal prison are serving sentences for drugs. That’s why a coalition of faith leaders, affiliated with the PICO (People Improving Communities Through Organizing) National Network, delivered a petition with what organizers say is more than 30,000 signatures to the White House. The network of faith-based organizing groups urged Obama to speed up the process of granting pardons for undocumented immigrants and clemency for people with federal, low-level drug offenses. The petition references President-elect Donald Trump, his statements on immigration, the Affordable Care Act and stop and frisk. PICO Political Director Bishop Dwayne Royster, speaking with The Root, says that time is of the essence for the tens of thousands still sitting in federal prisons because of the racially divisive war on drugs “aimed at preventing people of color from thriving. Royster says that PICO and other advocates will be putting up a wall of opposition against a national stop-and-frisk policy and an unfair deportation policy and fighting against the privatization of prisons. “We won’t allow people to profit off of dark-skinned bodies,” Royster says. In August the Department of Justice announced that it would phase out the use of private prisons for federal inmates in the wake of reports of problems with violence and overcrowding. But Trump has spoken in favor of private prisons, though he has not presented a detailed plan for that issue. Trump has spoken about cracking down on violent crime, both in his October 100-day action plan (pdf) and in speeches such as his so-called law-and-order address in August. Trump has also attacked lawmakers such as Gov. Terry McAuliffe (D-Va.) for restoring the voting rights of convicted felons who have served their sentences. It is unclear so far where Trump stands on efforts to “ban the box,” which would prevent prospective federal and government employees from having to check a box admitting criminal history early in the hiring process. Criminal-justice advocates are also concerned about Trump’s nomination of Sen. Jeff Sessions (R-Ala.) as attorney general because of Sessions’ support of strict drug penalties and his opposition to the reduction of mandatory prison sentences. Then there’s a stalled bill in Congress that was introduced with bipartisan support that would have eased federal sentencing laws. Some advocates, including the ColorOfChange PAC, are planning to look more to states and counties for changes in sentencing laws, incarceration and criminal-justice reform. Others, such as PICO’s Royster, are vowing to continue the battle by partnering with like-minded organizations, but they are still worried. “Things will be worse for blacks, for Latinos; it will be bad for people of color period,” Royster says.